This unique workshop brings together two master practitioners for the first time to share their questions and approaches to democratizing theatre with workshop participants. What will actually happen? We won’t know until we get there! But you are guaranteed to leave with new ideas, perspectives and questions, as well as applied theatre games and tools. Open to all — no theatre experience necessary! May be particularly useful for people working in the arts, in health or healing professions, and in fields where democratic participation is key. This workshop is organized by Teaterkollektivet, a voluntary organization working with Theatre of the Oppressed and Playback Theatre in Bergen, Norway. 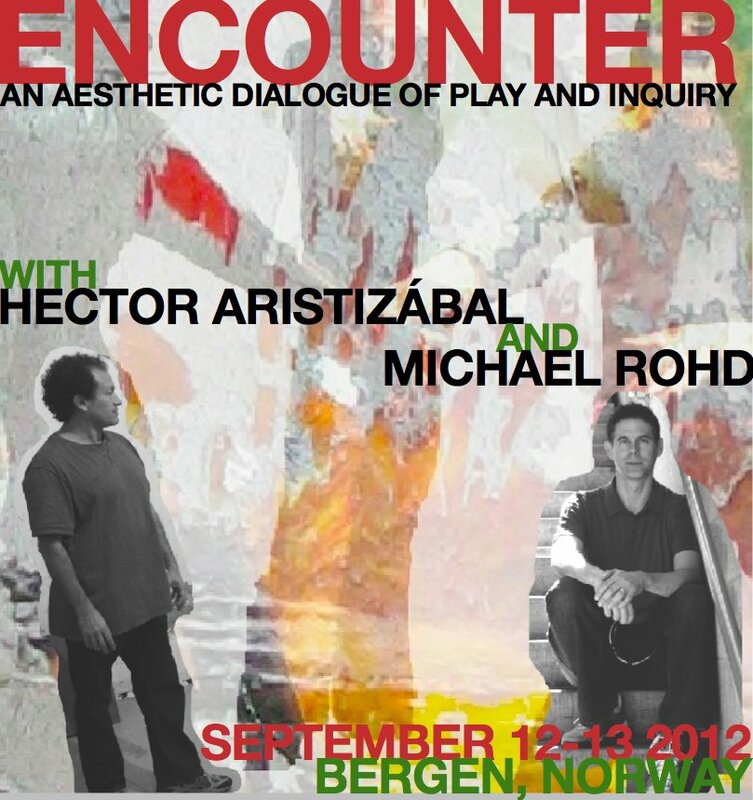 HOW TO REGISTER: Contact teaterkollektivet.bergen@gmail.com OR just transfer payment to Norwegian bank account 3705 20 87032 (include your full name and contact information in comments area!). How do people with different values come together in public dialogue? How do communities with different ideologies work collectively? What is the relationship of story and collaboration to these questions? MICHAEL ROHD has been exploring the intersection of theatre and democracy for years as the founding Artistic Director of Sojourn Theatre and through his projects with collaborators and universities around the United States and abroad. Michael is an Assistant Professor at Northwestern University and lives in Chicago. How do we re-humanize ourselves to heal our individual and collective wounds? How can theatre provide us with the space to transform ourselves and our communities? HECTOR ARISTIZÁBAL, the founding Aristic Director of ImaginAction, uses tools and traditions from Theatre of the Oppressed, psychodrama, storytelling, improvisation and creative ritual to tap the transformative power of theatre for individual and community healing and liberation. This May, Hector was awarded the Otto Award for Political Theater. Hector is from Medellín, Colombia and has lived in Los Angeles since 1989.